From January 9 to December 17, 2016 we've opened again the voting lines for your favorite 2017 songs. 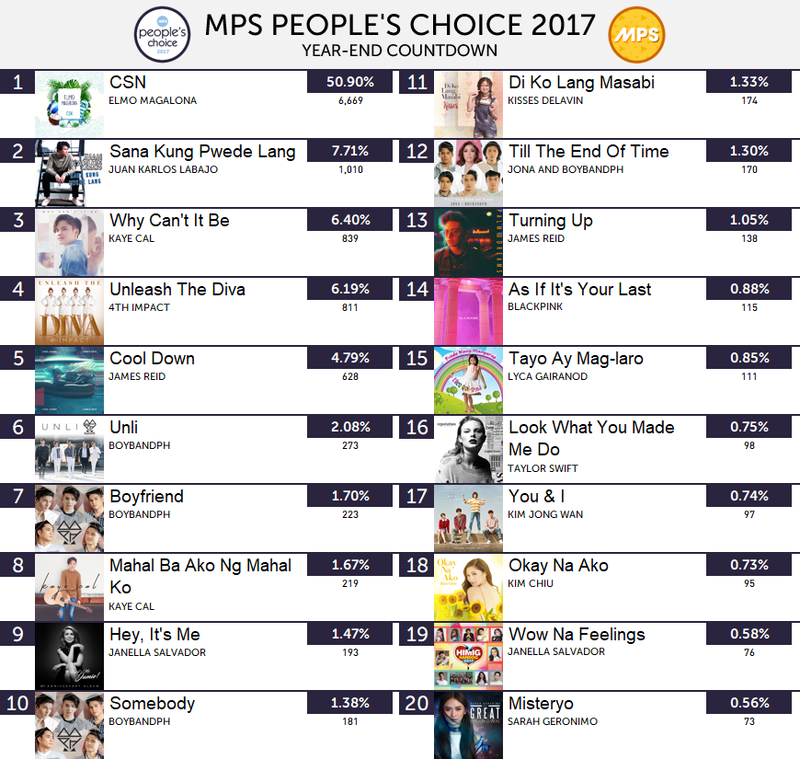 ​the much-awaited Top 20 People's Choice Songs of 2017 from the votes we tabulated the entire year! 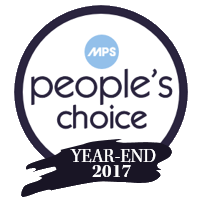 ​See what fans has to say about the MPS People's Choice Year-End 2017 results! ​​"CSN" by Elmo Magalona gathered the most number of votes this year with half of the total percentage. He also ruled the monthly charts from July to October. BoybandPH had the most number of entries with 4 songs in the top 12. Lastly, there were 3 international songs in the top 20 including 2 K-Pop songs and Taylor Swift's smashing hit "Look What You Made Me Do". THANK YOU FOR MAKING #MPSPeoplesChoice2017 A SUCCESS!